Many people have switched to shopping online for Christmas gifts. However, last-minute shoppers will need to head out to the store to ensure they have their gifts on time. In order to cater to these last-minute shoppers, some retailers have extended hours the days leading up to Christmas. Here are this year’s Macy’s Christmas store hours. Like many other retailers, Macy’s is a store that offers up extended holiday hours before Christmas. In recent years, Macy’s has been open 24 hours a day in the days leading up to the holiday. However, that isn’t the case this year but the retailer is still offering extended hours for shoppers. Friday, December 21: Macy’s will be open from 7 a.m. until midnight. Saturday, December 22: Macy’s locations will be open until midnight. Sunday, December 23: You will be able to shop at Macy’s from open until 12 a.m.
Christmas Eve: Monday, December 24: Macy’s will close early on Christmas Eve. Most stores will be closed by 6 p.m.
Christmas Day: Tuesday, December 25: Macy’s will be closed. These holiday hours only apply to Macy’s locations able to stay open until midnight though. Stores located within a mall may have different hours. 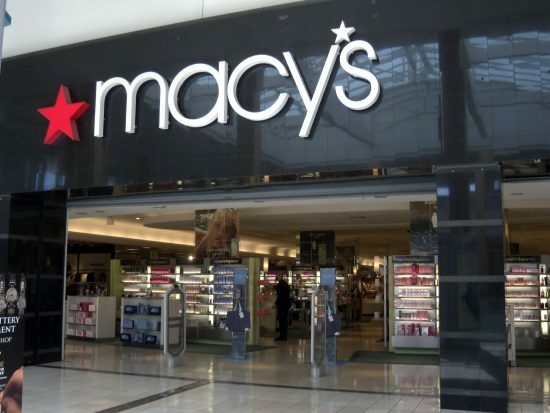 For instance, the Macy’s in Charlotte, NC, located in the mall will close at 10 p.m. If you’re curious as to what hours the Macy’s nearest you is, give them a call or check the company’s website to verify the hours. Avoiding the holiday crowds in the days before Christmas can be difficult but you can do it if you’re willing to shop at odd hours. Because Macy’s is offering extended hours from 7 a.m. (or 8 a.m. in some locations) until midnight, you can hit the store at calmer hours. So, instead of going after work, you can try and hit the store early in the morning or later at night. The same goes for other retailers at this time of year. If you hit the store at an odd hour, you’re less likely to run into any huge crowds. As always, make a list before you head out and have a budget in mind. With the hustle and bustle of the holiday season, it is easy to forget what you are looking for. Having a list will ensure you get out of the store as quickly as possible without going over budget. By spending a little time to create a list before you go, you’ll save yourself much more time and stress than you ever thought. Which Stores Are Open on Christmas Day? Is the Post Office Open Christmas Eve?